Austria biggest Ski Resort! 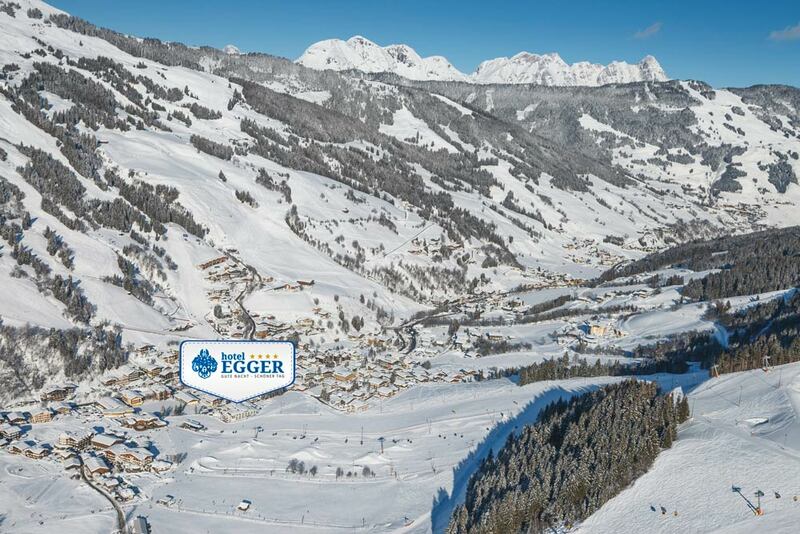 Your Hotel Egger directly beside the slope! 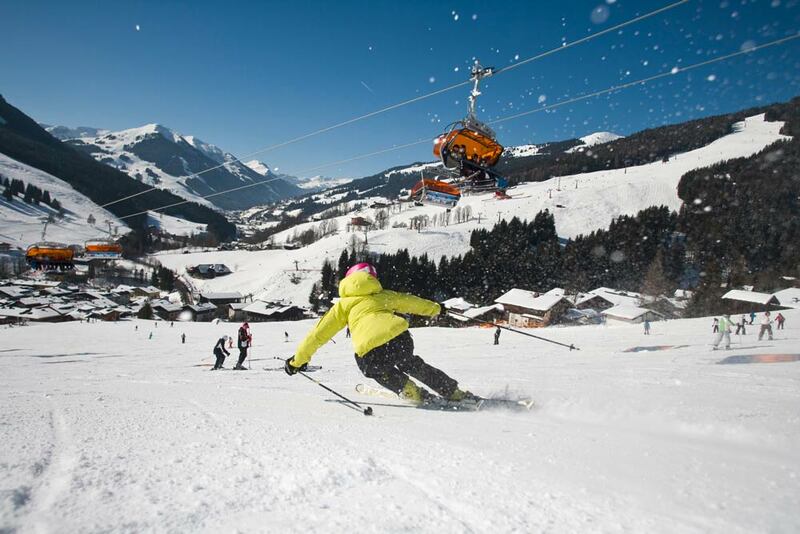 The Wellness- and Familyhotel Egger is situated in an unsurpassed top location in the middle of the Skicircus Saalbach-Hinterglemm Leogang Fieberbrunn! During your stay at Hotel Egger you are living directly next to the entrance into the whole skiresort (the new U-Bahn is only a few steps away), directly next to the floodlit piste, the funpark and the skischool meeting area. moguls, ungroomed and snow parks. Further infos about the diverse winteractivities can be found HERE! 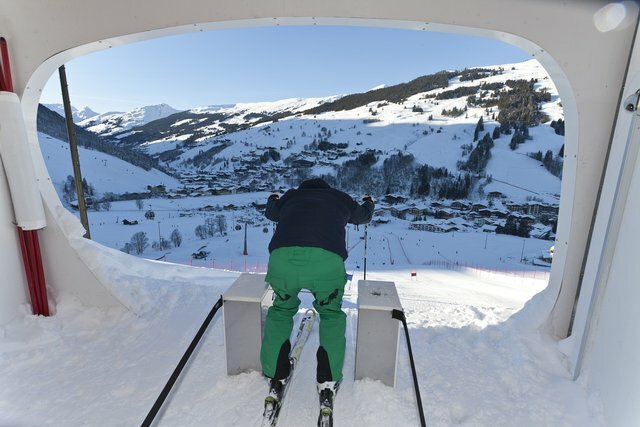 At the Unterschwarzach Ski-tow you will find a Race Course with a chronometer. The Course has a lenght of about 200 m and is practicable for nearly everyone! Flood-lit slope – DIRECTLY BESIDE OUR HOTEL! Ski the night! Skiing and Snowboarding into the night. With a valid ski pass free of charge. 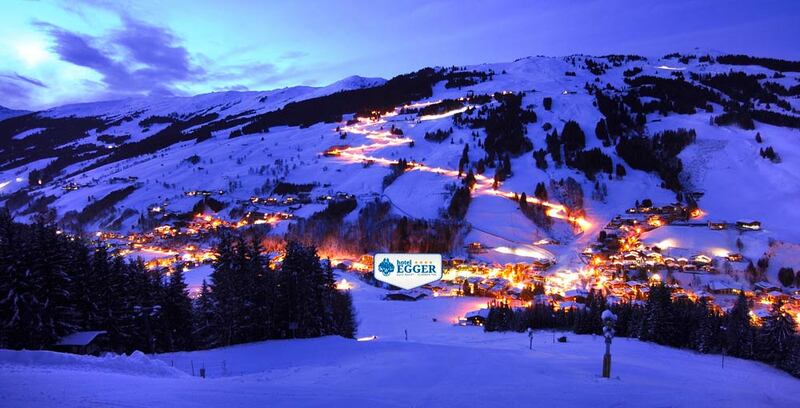 Fun & Action on the flood-lit slope in Hinterglemm! Toboggan slide at the Reiterkogel (lighted) – included in the ski pass. (One-way tickets available!) Use of the cable-car (including evening ascent) is included in the valid ski-pass. Ascent with Reiterkogel cable car MON to SAT also from 6.30 – 9.00 p.m. The toboggan run Reiterkogel can be used only with toboggans belonging to the lift operators. Passengers’ own toboggans will not be transported! 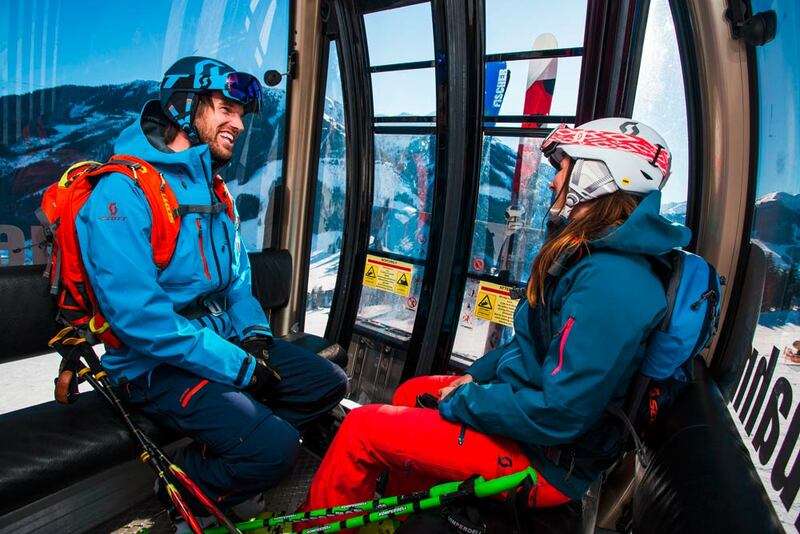 Carving – a completely new skiing experience for young and old! Carving to the edge! Test your carving technique at the permanent carving track at the Hochalm in Hinterglemm. You will find a special carving slope and buoy slalom! Something suitable for both beginners and professionals. One has the feeling that carving skis turn on their own, allowing corner positions like snow-boards and giving the feeling of racing down a bob-sleigh run. That`s what carving fans have to say about these strongly shaped skis. Elements Funpark – DIRECTLY BESIDE OUR HOTEL! Professional Funpark at the Unterschwarzachlift in Hinterglemm and at the Asitzmuldenbahn in Leogang. Both Funparks are shaped daily by professional snowpark shapers! Improve your park-skills! Whether new School Skier or Snowboarder perfectly shaped Corner-Jumps, Big Airs and different rails are waiting for you at the Asitzmuldenlift in Leogang. Steep corners, ground waves and speed jumps – in the flood-lit Snowpark in Hinterglemm – as well as the Freestylers also the Boarder-Cross-Freaks will enjoy these special areas – something to suit everyone! For those Skate-boarders who want to try their skills on snow they will have the opportunity to use our small, but super, Snow-Skate park. Check it out! That last important skiing turn into the ski hut is essential to complete your fantastic day on the slopes. Numerous mountain taverns, ski huts and sky bars invite you to take a quick break or have a sunbathe right in the middle of all that white delight and thus fortified, enable you to carry on with the next round of moves in the snow. The choice is yours: traditional Austrian cosiness or that disco feeling high on the mountain! Many of these huts are on the path leading down to your holiday address, the Hotel Egger: “The Sky Rest” on the Schattberg slopes with a clear view of the distant Großglockner and Großvenediger peaks, the “Xandl Stadl” on the Zwölfer slopes, the “Hausberg” on the Hinterglemm slopes, the “urige Pfefferalm” and the “Goaßstall” on the Reiterkogel slopes, just to mention a few of the more well-known ones.